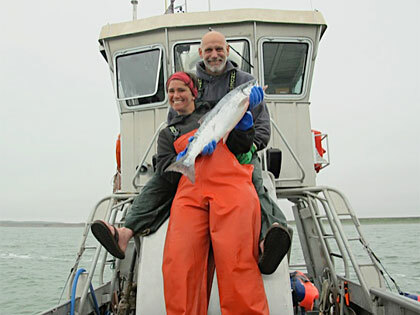 Wild salmon is among the purest of all ocean fish. Naturally high in Omega 3's, amazingly rich and delicious, some consider wild salmon to be a "super food" -- We just think it's pretty darn tasty! We take quality seriously around here. After our salmon are caught, they are carefully placed into an icy slurry brine that quickly cools them. They are then processed as quickly as possible to seal in that "Just Caught" freshness. We are committed to providing our customers with an amazing product-delicious, nutritious, sustainably harvested wild Alaskan salmon. So committed in fact, that everything we sell is fully guaranteed. Welcome, try our salmon and see what the fuss is all about!